It takes patience and a willingness to let the kids fail. In “Drive: The Surprising Truth About What Motivates Us,”, Daniel Pink argues that creative, non-routine work is best achieved when incentives provide workers with autonomy, mastery and purpose. Hockey certainly requires a lot of creativity, flexibility and adaptability. The solutions to game situations are far from fixed and routine. Perhaps then, we could learn a little about motivating youth athletes by paying attention to this expert in the field of human motivation. Autonomy: The old method of motivating was designed to improve productivity with employees largely engaged in routine and boring work. Pink describes this motivational method, which is still used to this day: “Its paramount goal remains compliance, its central ethic remains control and its chief tools remain extrinsic motivators.” Sound like how we might try to motivate youth hockey players? We want our athletes to be motivated to engage in training and games because the joy of doing so is intrinsically rewarding. To do this, we can’t have the whole development model they grow up within dedicated to spitting out compliant and controllable athletes that’ll only work hard if they get a doughnut on the way home from the game. This isn’t to say that athletes shouldn’t comply with a coach’s instructions. Obviously, that is our expectation. But compliance shouldn’t come at the expense of curiosity or joy. Elite hockey players don’t just accept instruction without question. They are strong-willed, curious and determined, so of course they’ll want a deeper explanation or more rigorous analysis than a coach might initially provide. Giving hockey players some autonomy isn’t letting them become the coach. Not at all. But it means setting up an environment and infusing our training methodologies with drills, games and a culture that gives varying levels of ownership or decision-making to the athletes! Mastery: Improvement and progress toward a goal is inherently satisfying. Time speeds up. Engagement in the task – which isn’t too difficult nor too easy – is easily seen in the eyes of the athlete. She is fully immersed in the experience and is in a state some describe as “flow.” “Left to their own devices … children seek out flow with the inevitability of a natural law,” Pink says. Any parent that has dropped their kid off at a pond in the winter has seen this idea at work. You nearly have to drag the kids away! They naturally find the pick-up game they want, they play for as long as they want, take a break when they need and return when they are ready. Purpose: In business, Pink argues that purely monetary motivators lead to more disgruntled workers and less creative work solutions. Instead, Pink argues that purpose must be a part of the equation. It’s a deep human need to have purpose. Isn’t the same true for youth athletes? The best teams, those that win, have a strong “why” behind them. Without this, the task is too hard and the sacrifice too great. Think about the greatest sports’ stories you’ve ever read. Whether the 1980 Men’s U.S. Olympic Team or New Zealand’s rugby team, the All Blacks, these teams and their stories are littered with more than the actions in one game or one season. It is the relationships that are built, the agonizing decisions that are made, the grueling preparation, and perhaps most of all, the cultures of excellence they develop that inspire us. And all of that is grounded within a strong purpose the athletes on these teams share. Fostering intrinsic motivation is not easy. It takes patience and a willingness to let the kids fail. But if we want elite hockey players, that’s what it’ll take. Elite players who are willing to sacrifice on their own accord and because they find the process itself rewarding. Josh Levine is the Assistant Coach of the Bloomington Jefferson Girls Varsity Hockey team and owner of The Fortis Academy. 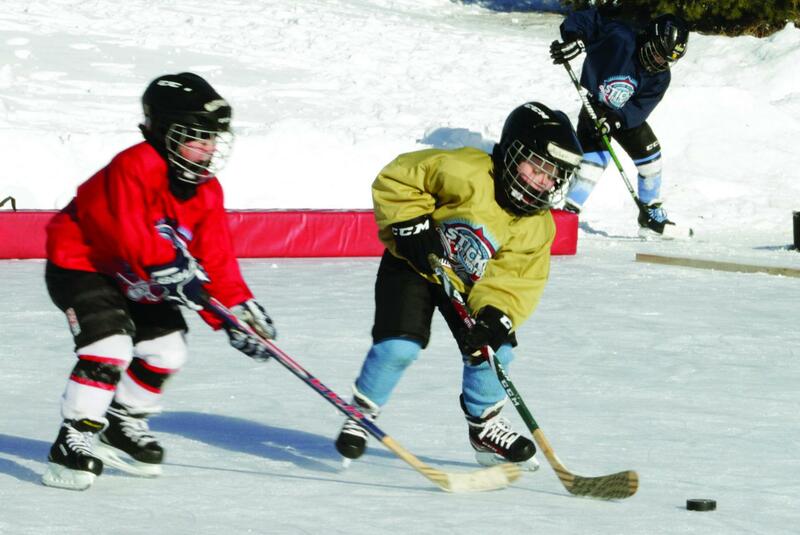 Fortis works with youth associations to implement skill development programs with all teams, from Mites to Bantams. The program includes parent education seminars, coaching clinics and Fortis skill-based practices. If you’re interested in learning more, shoot Josh an email at joshletsplayhockey@gmail.com. Follow Fortis on Facebook and Instagram. I tore my ACL. Can I play hockey without surgery?